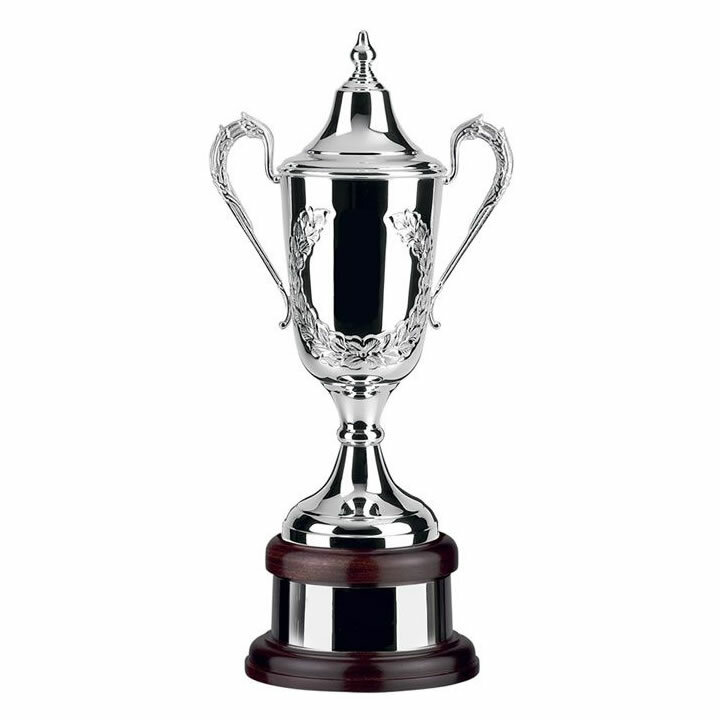 These superb trophy cups are suitable for prestige awards and presentations, including professional prize trophies. Handmade in Britain, they feature extensive handchased decoration on the body. 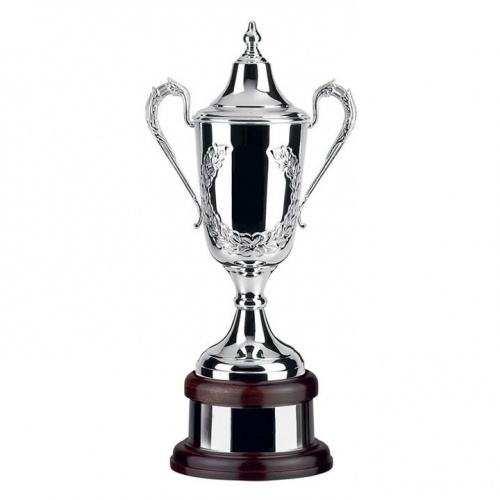 Standing 17.5in tall, they are supplied complete with silver plated lids and plinthbands.